Sadly I have to advise of Mya’s recent passing following a brave battle with a very aggressive illness. Mya was a long-time Pooch Walker and one of the first to join the ‘Walk’. She was always pleased to see me and it was only a matter of moments before I was being offered her belly for a bit of mutual bonding…indeed regardless of how long it had been since we last met Mya was always happy. The sentiment was infectious. 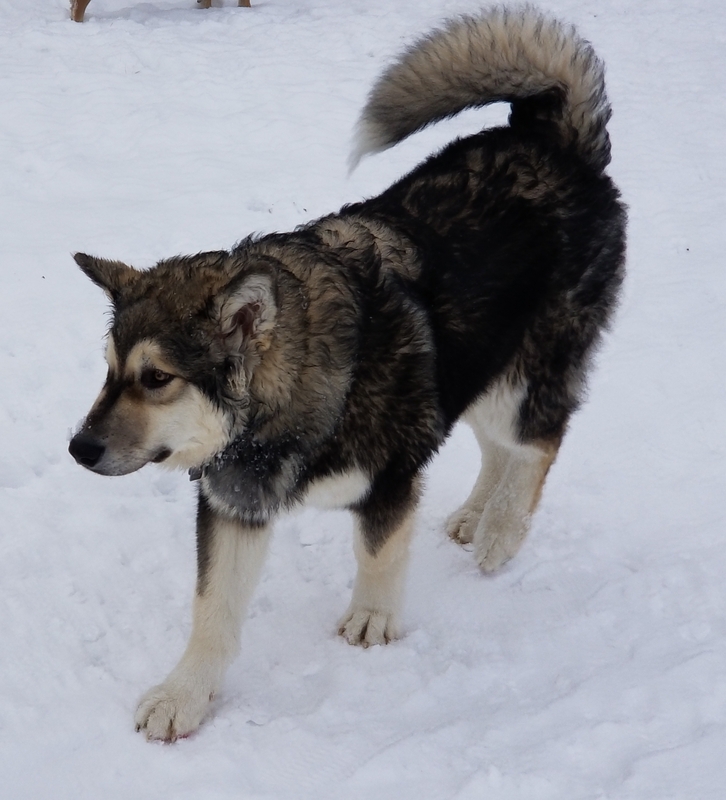 There were two very distinct sides to Mya…how she was with people and how she was with animals…both pack mates and furry ones of the chasing kind. I always found Mya to be a gentle, well-behaved, affable and bouncy girl (with a slightly cheeky, playful nature). In short she was a loveable girl who was liked by everyone that met her. These outstanding qualities were recognized when Mya was chosen to be a PALS dog benefitting many people with her special brand of friendliness. This designation is not offered lightly and the achievement was a credit to her people and a result of Mya being….Mya. I called Mya a Fearless Squirrel Hunter (FSH). She would think nothing of waiting for hours, super-still and super quiet, ready to pounce when the opportunity presented itself. At the dog park Mya was usually joined in this endeavour by Angus, another FSH. I witnessed a number of unsuccessful chases and cut some short when Mya was getting set for the duration. However, I am aware that her people regularly opened the back door of their house only to find a variety of furry “offerings” that Mya had left on the step for them! Mya always enjoyed hanging with the crew and being in the thick of things…running, chasing and wrestling (when she wasn’t being a FSH, of course!). Most of all Mya loved being with her people. They are hurting. Hopefully once the shock and pain subsides they will be able to concentrate on many memories of their beautiful girl and the happy times that they all shared. There is no doubt that Mya is missed…I miss her…her people miss her…the crew miss her. However, we are all lucky and grateful to have been able to share some time and have our lives enriched by this gentle, loving soul. What a difference 8 weeks make….. I think it is safe to say…..
Hamish is growing like a weed…! As I mentioned previously….now six months old and growing like a weed…! Whilst enjoying a jaunt with the Pooch Walk girls and boys I got the distinct feeling that we were being followed…. What more could a dog want…? Join the Pooch Walk….you know it makes sense….!! Today’s pooches would like to wish everyone a wooftastic week! Have a good one Pooch Peeps…!